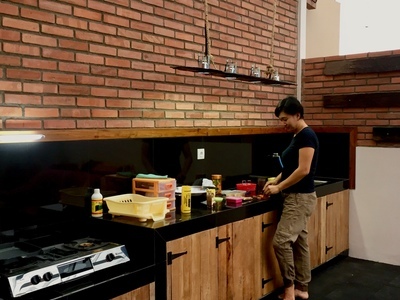 Help us with hostel cleaning in Indonesia! We need help with hostel cleaning up and look after the hostel while I’m away doing city tours with guests. Cleaning up will be done with me and we will share duty. In the beginning, I will assist and show how to do it or if the volunteer knows better methods we could share knowledge to make everything better. Must be vegetarian/omnivore, no food allergies and easy to adapt with local food. In this program volunteer will help me to keep & maintain the hostel to stay clean,we will di the work together. While doing cleaning up we would share,learn and teach each other about how to do a proper cleaning up.